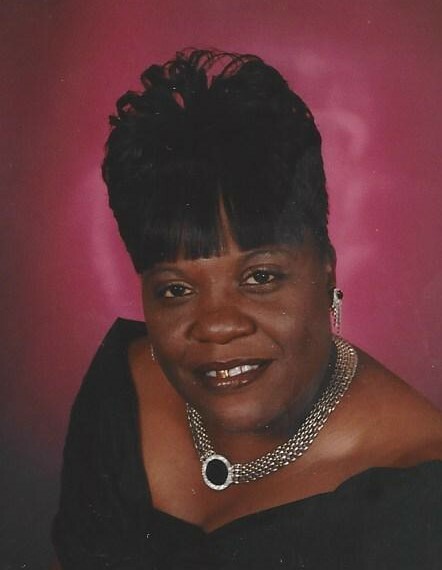 Mrs. Charlene Grant, age 55 passed on Tuesday January 29th at Ogeechee Area Hospice after a brief illness. She was a Bulloch County native and a 1981 graduate of Statesboro High School. She was employed as a Home Health Care Nurse. She is survived by her loving husband Mr. Gary Grant of Statesboro, Ga.; her loving daughters Ms. Meronica Hill and Ms. Robenia Watkins both of Statsboro, Ga.; her loving step-children Mr. Gary Grant, Jr., Mrs. Karen G. (Jonathan) Raymond, and Mr. Jeremy Grant all of Statesboro, Ga.; her loving sisters Mrs. Elizabeth Johnson of Maryland, Mrs. Eddie Faye Law and Mrs. Alice Holt both of Statesboro, Ga., and Mrs. Connie Cone of Augusta, Ga.; and a host of other relatives and friends. Viewing will be held Saturday February 2, 2019 from 2-7pm at the Craig R. Tremble Funeral Home, Statesboro Chapel. Home Going Services for Mrs. Charlene Grant will be held Sunday February 3, 2019 at 2pm at the Whitesville Full Gospel Worship Center, 306 Shelby Street, Statesboro, Ga., with Bishop Larry Jones, Officiating/Pastor. Interment will be held in the Mt. Zion A.M.E Church, Hwy. 24 East, Statesboro, Ga.
Mrs. Charlene Grant will lie-in-state from 1:30pm until funeral hour. There will be no viewing after eulogy.